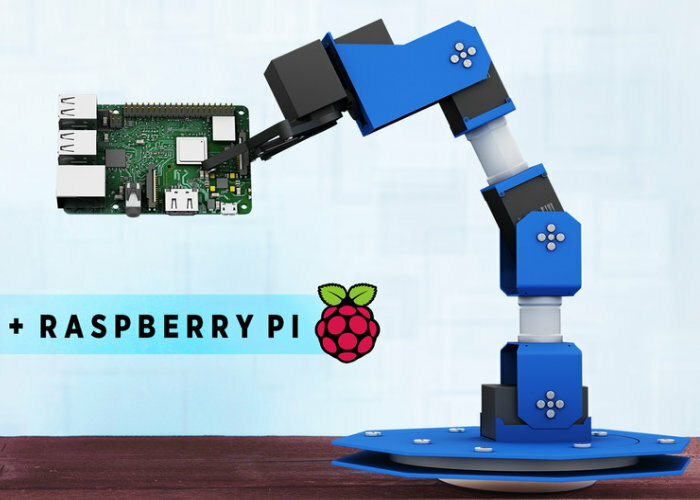 SB Components has designed a new Raspberry Pi robotic arm equipped with 6-axis digital servo motors and 360 degrees of rotation freedom. 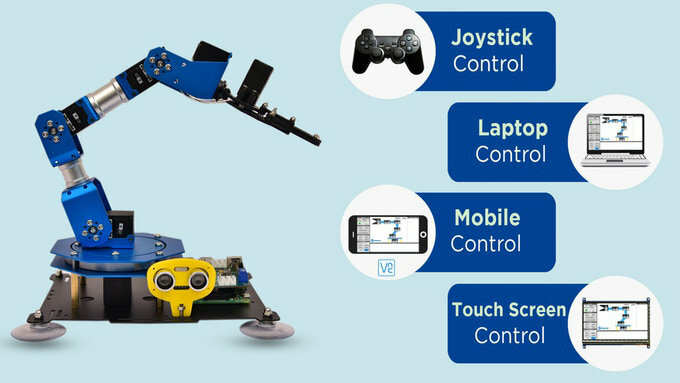 Specifically created for children, makers and those interested in learning more about robotics the DIY robotic arm is easy to construct and program. Watch the demonstration video below to learn more about the robotic arm kit which is this week launched via Kickstarter and is now available to back with super earlybird pledges available from £199. If all goes well and the crowdfunding campaign successfully raises the required £5,000 needed to make the jump into production, worldwide delivery is expected to commence sometime around June 2019. 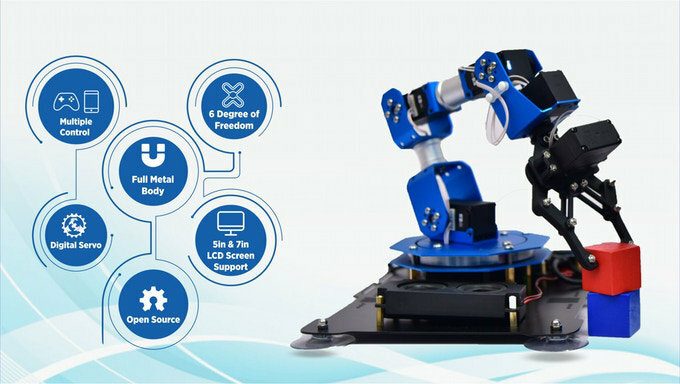 For more details on its construction, build requirements and programming follow the link below to the official Kickstarter robotic arm project page.